With 2018 almost over, make your last show of the year a damn good one! 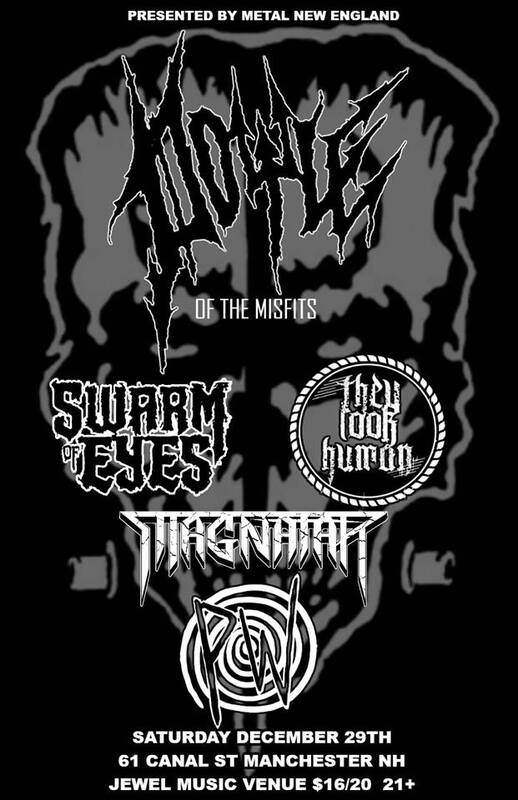 Snap up tickets to see Doyle (of The Misfits) with special guests, Swarm of Eyes, Magnatar, Psychic Weight, and They Look Human. Your pals in Swarm of Eyes want to see you thrashing out the old year and gearing up for a mucho metal 2019. As our gift to you, we're offering tickets to this fantastic show for just $10 in advance. (Typically, tickets are $16 in advance, or $20 at the door night of the show. However, because we wuv you, we're giving you a deep discount. Don't miss out on a great deal and an even better show. Hope to see ya on Saturday Dec. 29th at Jewel Music Venue. Be there or be squarely mired in regret. FREE SHIPPING & NO ADDED FEES! GIMME THEM TICKETS, BRO!